Travel to the romantic hideaway that is Viceroy Zihuatanejo and receive Exclusive Complimentary Perks that are combinable with an amazing special offer when you book your stay across WhataHotel!. 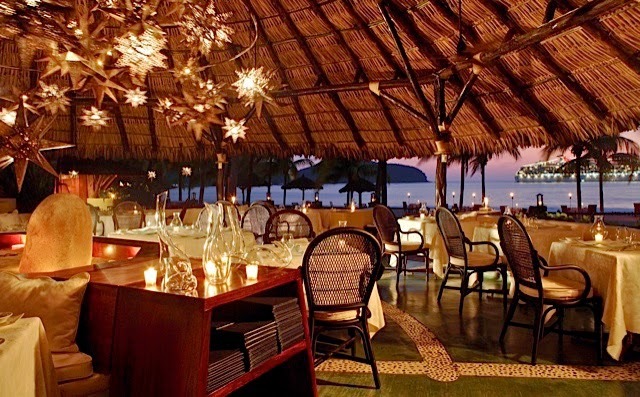 This laid-back Mexican town is located on the Pacific coast and is one of the most celebrated luxury resorts in the Ixtapa-Zihuatanejo area. Savor the authentic feel of the terracotta-tiled villas, the cabanas with charming thatched roofs and the tropical gardens that feature relaxing waterfalls and colorful plants. Viceroy Zihuatanejo will soothe your tired mind and body and ensure your time away is magnificent. 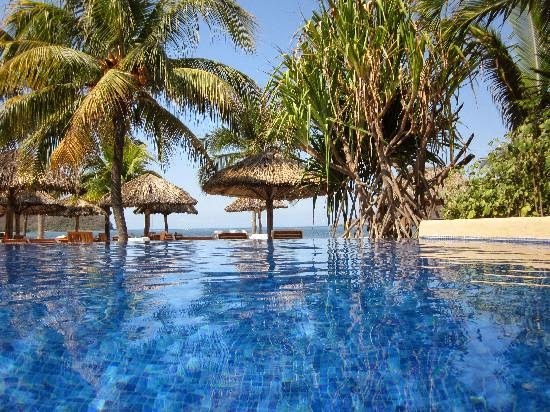 Viceroy Zihuatanejo is a stunning resort that tempts guests with polished rooms and suites, one thousand feet of white sand beaches and countless outstanding conveniences. Here each guest can experience what a true vacation getaway is all about. Whether you chose to stay in one of the luxurious guestrooms or the one or two bedroom suites, each private space is tastefully decorated with vibrant colors, local artwork and top-notch amenities. The suites even boast private terraces or balconies as well as intimate outdoor infinity pools with incredible views. Guests can spend their day relaxing on the beautiful beach in the teak lounge chairs or enjoy one of the three gorgeous swimming pools; one is a fantastic infinity pool that looks over the azure waters of the Pacific. This impressive resort also offers guests exciting activities including water sports, tennis, golf, horseback riding, deep sea fishing, water skiing, scuba diving, snorkeling and surfing. To completely unwind visit the tranquil spa which has three treatment rooms and also a well-equipped fitness center. Discover award-winning cuisine with a Mexican Pacific flavor that is served up at the two on-site restaurants. When drinks are required the three bars ensure every guest can enjoy a beverage of choice, from a beer with a lime to a glass of sangria. Travel to the alluring Mexican Riviera that promises tropical breezes and memories that last a lifetime. When booking your travel across WhataHotel!, guests can revel in Exclusive Complimentary perks alongside impressive Special Offers for an exciting deal. There amazing perks include available upgrades, a full breakfast for two each day, a $100 food and beverage credit and options for an early check-in or late check-out. Combinable with these phenomenal perks is this unique special offer. At no additional charge guests can enjoy a guaranteed upgrade plus a $50 daily resort credit! 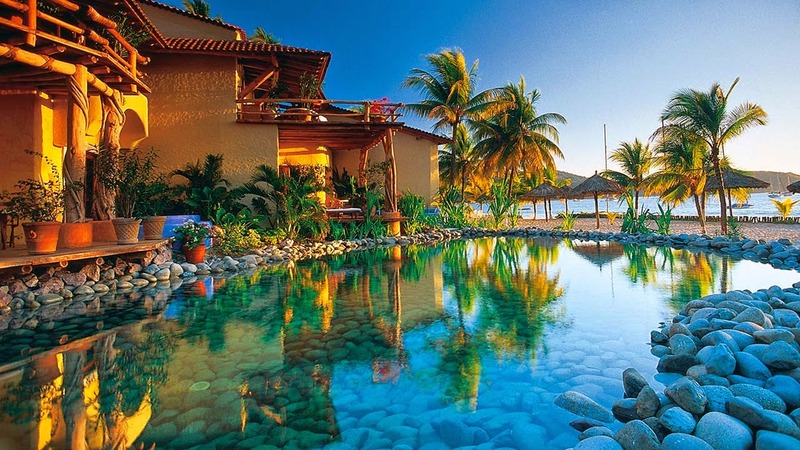 The Ixtapa/Zihuatanejo area is filled with breathtaking views, friendly locales and some of the Best Hotels in Mexico. 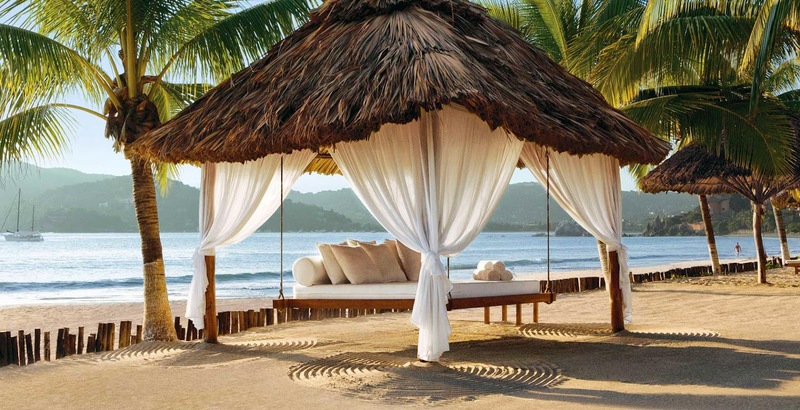 Spend some time at the luxurious Viceroy Zihuatanejo and uncover the true meaning of the word "vacation".